Children’s nurse specialist wins RCNi Nurse Award for her compassionate and supportive care of a young girl with a rare syndrome. 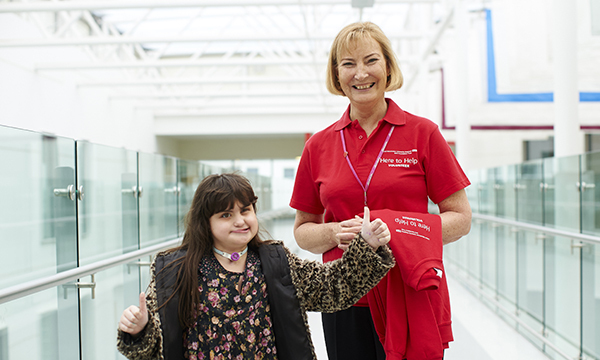 A children’s respiratory nurse specialist has won one of the most prestigious accolades in nursing, the Patient’s Choice category of the RCNi Nurse Award 2017. Joanna O’Toole received the greatest number of public votes for her ‘compassionate and supportive care’ of a young girl with a rare syndrome and her family. Patients nominate a nurse who has made a real difference to their or a loved one’s care for the award, which is sponsored by Yakult and supported by Smooth Radio. Mum Lesley Chan nominated her daughter Amélie’s ‘wonderful and courageous’ nurse for the comfort, support and compassion she has shown the family, despite having terminal cancer. Lesley says of Joanna’s award: ‘It is testament to her selfless compassion and determination to continue to volunteer and care for families like ours. Jo continues to give to others when her time is so very precious, and should be spent with Jim and her two daughters. ‘Jo will forever be in our hearts as a fabulous, considerate and caring nurse. She's our hero for her real commitment to the NHS and families like ours who have complex children, and who need strong nursing advocacy and support,’ says Lesley. Jo, who works at Royal Manchester Children’s Hospital (RMCH), looked after Amélie for four years. ‘She made me feel safe,’ says Lesley. ‘She stayed after her shift had finished many times to sit with my family, and provide comfort and compassionate care. ‘She is always positive. Amélie is profoundly deaf and partially sighted, so she relies on facial expression. Jo knows how to raise a giggle and bring her sense of humour out every time. Recently, and reluctantly, Jo retired. ‘I don't know how we will manage without her no longer overseeing Amélie's care and I will feel empty without Jo in our lives,’ says Lesley. Jo is still volunteering on her ward, playing with children and giving parents a break.